Italian Dj and Techno Producer BOOKING CONTACT : hanubismusic@gmail.com ► Genre : Techno ------------------------------------------- ► Labels : - JAM - DSR Digital - Trau-ma - Blackrod - Illogic - 91 Records - Kaputt -Monoton audio -Northallsen Records ------------------------------------------- "Alessandro Iacovelli" born in Italy, in the city of Foggia, artistically "Hanubis" Dj and producer of Techno music. He has several releases on international labels, currently resident Dj at LEBEN SOUND UM. "Alessandro Iacovelli" born in Italy, in the city of Foggia in Puglia, demonstrates since childhood a strong musical passion. His first debut in 2009, first for private parties under 300 and in Southern Italy clubs. He has collaborated with various local staff, arousing interest and interest, also called by a charismatic personality. In 2013 he began his journey as a resident DJ for the "LEBEN SOUND UM", performing side by side with Dj International, both in opening and closing. 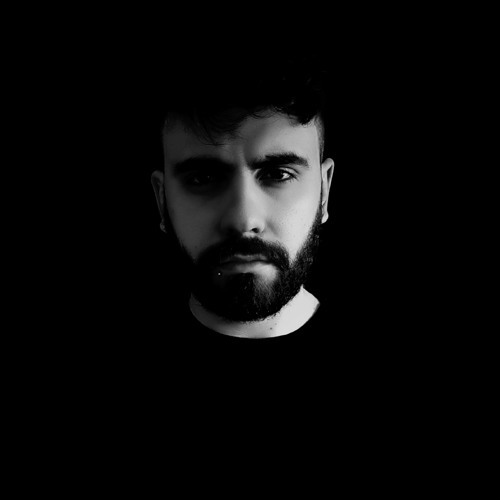 In the following years he went through a great period of musical growth, releasing an Ep on OFF WHITE RECORDS, played by SAM PAGANINI and supported by artists such as BLEAK and BASIC SOUL UNIT, and later on SYNCOPATE "ADAPTER Ep" and in a variety on the label "Seqtor "with the track" Hanubis-XHA1 ". In 2016 he signs again on "Seqtor" with the track "Osiris" in another varied, then later landed on "Connective Records" with the Ep "Machine Swell", ending with the Ep on "little Hill Compact Series "" with the Ep "Voices From The Dark Space" expressing all its Techno Industrial influences. In 2017 a great period begins, with a release on "Connective Records" with a remix "Yeah (Hanubis Remix)" and the Ep on "Illogic Music" Mosis Ep, played by artists like, Charlotte De Witte, Markantonio, Enrico Sangiuliano , Cari Lekebusch, Lag, Whebba, Spektre, Skober and Sam Festival Paganini at Sonus 2017, Echelon Festival 2017 and at Social Music City (Milan). Alex also published an Ep on a well-known Berlin label "Kaputt Muzik" with the Ep "Genesis" played by Coeter and Spartaque at the End Of The World Festival. Currently, Alex is Resident Dj in "LEBEN SOUND UM". In 2018 he released another 5 very strong Ep with very positive supports and feedback, "CONCEPT OF PRESTANCY" released on "Monoton audio" and the second release on "Illogic Music" Spectrum EP, played by Thomas Schumacher and later at Berghain da Scuba. Successively "Lost In The Era" released on "DSR Digital", Suspanse Ep on "91 records" and Inverter Ep on "Trau-ma" Label by Robert S.